There is an interesting lawsuit in Nevada in which Rick Vukasin, a 65-year-old electrician and big-game hunter, is a Canadian outfitter and a hunting guide in Tajikistan for a type of “shoot and switch” ploy. 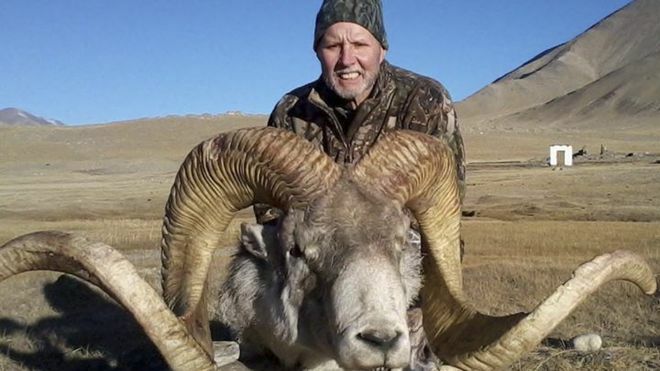 Vukasin says that he paid $50,000 to kill a rare, threatened argali sheep known as “Marco Polo” but received a lesser trophy rack in the mail. Vukasin killed the Marco Polo in December 2012 and said that it was a beautiful 400-pound, big-horned ram with perfect spiraling horns. However, rather than receive the 58-inch-long horns in the mail, he received horns with marks and clips — different horns from the one that he inspected in Tajikistan. He blames Ameri-Cana Expeditions Inc. of Edmonton, Alberta for switching the horns. While the company insisted that they had sent the originals, they later offered to sent a replacement. Vukasian wants the original forms or reimbursement. For him, there is a big difference between horns of any animal and the horns from the animal that he personally killed. The argali are actually a threatened species and the country only sells 60 permits a year. Vukasin tried to file a fraud claim with the FBI and suggested that he found other duped hunters. he contacted an FBI agent in Great Falls, who indicated he probably was a fraud victim but there was little authorities could do unless they found a number of other hunters who’d also been duped. He is also suing Yuri Matison who is a well-known tracker. Matison was selected by the Wild Sheep Foundation to its Mountain Hunter Hall of Fame in 2009. Vukasin is seeking $75,000 in damages that include not just his money but damages for “worry, anxiety, loss of sleep, physical and mental distress” in not getting his trophy horns. That could raise some interesting questions. First there is the factual question of whether it can be shown that the horns were switched. Presumably, discovery might be able to confirm that fact and if not testing might show an age difference. Then there is the question of the value of horns when someone else killed the original animal. The horns, for him, are the embodiment of his adventure and proof of his skills. It could seem clear that a replacement trophy would not make him whole. The issue is how to quantify the pain and suffering of a hunter without a rack. It is interesting that the size of the horns are so important to these type of hunters? And, then, they always have to take a photo “mounting” the animal they killed? We have weapons that can make a kill at over a mile now and these guys think they’re doing something really spectacular. Insecure Idiots. One guy told me he was going hunting. They sit these idiots in tree stands next to feeding troughs and when the animals, pigs, deer etc. com to feel, they shoot them with high powered riffles and they call that a sport. I started laughing at him. This idiot paid $50,000 to get a rack of horns and some meat. Probably has a few steaks and gave the rest away. I have nothing by disdain for trophy hunters. Bagging a year’s supply of meat and getting some degree of satisfaction is acceptable. I grew up on Vancouver Island and every year fat rich guys with something missing come over to shoot bears. They sit on a hill and shoot from several hundred yards away with the most sophisticated rifles and sights made. They skin the bear and leave the carcass where the bear was shot. Some of these ‘hunters’ come from as far away as Germany and what they take home is anybody’s guess. This guy should go f*#^! himself. I can only hope this is the first stage of never ending karma lessons for this worthless waste of skin. Ego, arrogance, lack of sensitivity, an obscene amount of money……..
Maybe if a lot of animal killers hear about this, they will stop paying so much money to kill defenseless animals. How much would it cost to drop that guy back into Tajikistan with no weapon in the middle of a herd of Marco Polo sheep with especially big horns and snow leopard or two? I might be tempted to contribute a buck (pun intended) or two. how many are left in the world? 10,000. First it failed to become a criminal matter when the company offered to replace the horns with another set, hence the FBI could be nothing even if they wanted to: which I doubt they did. Second, this mental anguish claim has very little credibility. WTF is wrong with people that makes them want to go kill some animal. Nothing bad enough can happen to this d-bag. I live in Nevada and I will keep track of this on Pacer. It is a shame that someone who would pay thousands just to kill a threatened animal in order to have a trophy on his wall may have gotten defrauded by the outfitter and guide! Woe is me. I agree there is special value in the horns from the animal he actually shot. He might be able to prove he received different horns with something as simple as a photograph, maybe even a measuring tape. In any case I hope he receives satisfaction. And I hope the next hunter uses a camera. Got to shoot me one of those before it’s too late! Looks like Vukasin got bagged by a really big game hunter. 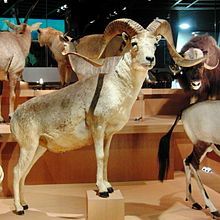 From itsnature.org, The numbers of Argali sheep reduce every year and now IUCN classifies them as “Near Threatened”, which can be predicted to become “Endangered” soon enough if the harsh human actions against these animals continue. Their natural habitat is becoming more populated and polluted and they are in a constant move to new territories. Hunting is also a big reason for the decrease in the number of Argali found in the mountains – their meat is widely used as food and their spectacular horns are a trophy every hunter has a desire for. He should have counted Marco Polo sheep to help w/ his loss of sleep. Make sure to tip your waitresses.